Sonata for keyboard in E major, K. 380 (L. 23) "Cortège"
Fine. Ships Same or Next business day from NJ, USA with Tracking. Artwork and disc(s) in like new condition; 30-Day Satisfaction Guarantee. Good. . Buy with confidence-Satisfaction Guaranteed! Satisfaction 100% guaranteed. Fine. 028947047728 This item is guaranteed to play perfectly with all original artwork and materials. U.
Agustín Barrios-Mangoré; Alessandro Marcello; Anonymous; Antonio Vivaldi; Celedonio Romero; Domenico Scarlatti;... Very Good. In very good packaging. 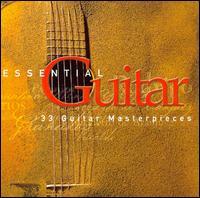 Various Artists-Essential Guitar by Various Artists. Agustín Barrios-Mangoré; Alessandro Marcello; Anonymous; Antonio Vivaldi; Celedonio Romero; Domenico Scarlatti;... New. Guitar music for guitar lovers! Beautiful selections of classical guitar music, perfect for the most discerning taste! You'll want to listen to it over and over!